Base pH test. 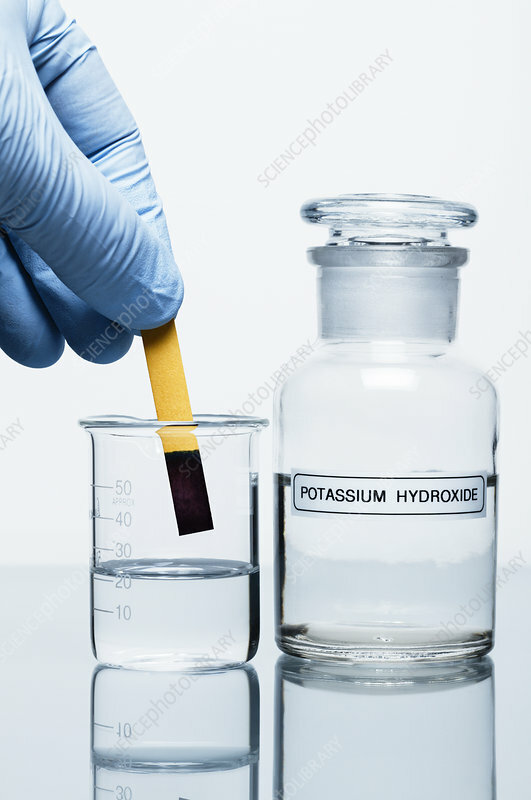 A universal indicator paper strip was dipped into 1M potassium hydroxide (KOH). Its colour changed to dark blue indicating a strongly alkaline solution.